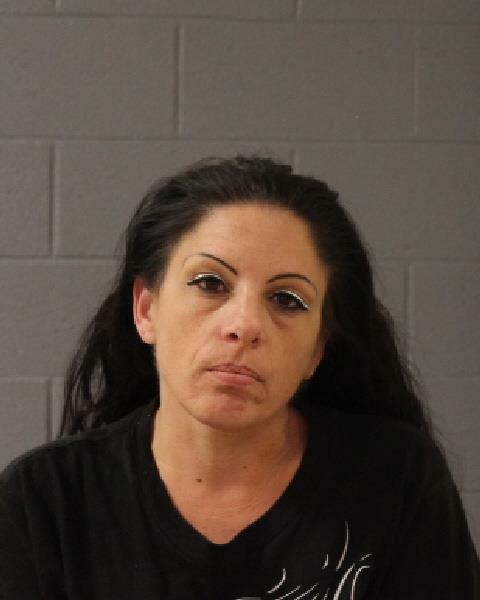 ST. GEORGE — A 39-year-old woman was arrested Wednesday after allegedly burglarizing a vehicle in St. George before trying to cash one of the checks she had reportedly stolen from the vehicle. On the morning of Nov. 18, officers were dispatched to a reported vehicle burglary on the 200 North block of 1000 East, according to a probable cause statement filed by St. George Police in support of the arrest. A woman reported that property valuing an estimated $826 along with a personal checkbook had been stolen from her vehicle during the previous night, according to the statement. At approximately 11:45 a.m. that same day, a woman – later identified as Stephanie Marie Bell – attempted to cash one of the stolen checks, the arresting officer wrote in the sworn statement. Bell, listed in Utah Court documents as a St. George transient, was located by authorities Wednesday. Following an interview with police, Bell was arrested and booked into the Washington County Purgatory Correctional Facility. The Washington County Attorney’s Office filed an information in 5th District Court accusing Bell of third-degree felony forgery, along with two class A misdemeanor counts of burglary of a vehicle and theft. Judge John Walton, of the 5th District Court, ordered $5,000 bail for Bell’s release pending trial. Bells was found indigent by the court during her initial court appearance Thursday and will be represented by court-appointed attorney Michael Lastowski. She is scheduled to make her next court appearance Jan. 2, 2018. How else is she supposed to pay for that hideous makeup? ?